Food, cover, nesting, and water are all essential for birds. Plants can supply all those necessities. Whether you’re an avid birdwatcher or just like to sit back, relax and observe the interesting habits of birds let Johnson’s Nursery, Inc., help you make spending the time and effort to encourage their presence well worth making your garden a bird heaven. 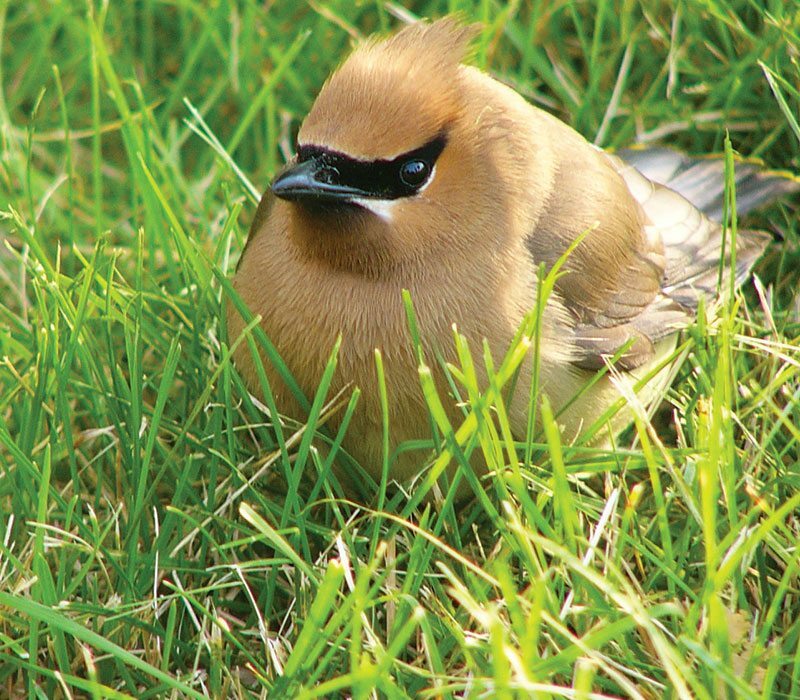 Watching backyard birds can be a relaxing, an entertaining and an educational activity. Seeing a bright red cardinal in the dead of winter can be uplifting. A visit by a ruby-throated hummingbird outside the breakfast nook can be a great way to start the day. A sighting of an unexpected bird guest can send you scurrying for binoculars and books. Finding out that you’ve seen an indigo bunting is cause for celebration. Birdwatching is fun. Birdscaping, or landscaping for the birds, can make birdwatching even more enjoyable. To get the most pleasure out of your birdwatching activities, consider developing a habitat that is the most conducive to attracting as well as viewing birdlife. Left: Mother Robin | Right: Newborn Robins in a nest at Johnson's Nursery. Evergreens can furnish cover. They can afford a place for birds in bad weather. Dense thorny plants, such as hawthorns and shrub roses, provide a safe haven from predators. In addition to cover, nesting sites and materials are necessary to accommodate birds. Many of the same plants that provide cover also make excellent nesting sites. Dense shrubs or trees like Blackhaw Viburnum and hawthorns are great choices. Some of the favorites include: the peeling bark strips from ninebark, the fluffy seed heads of common milkweed and the downy seed heads of ornamental grasses. 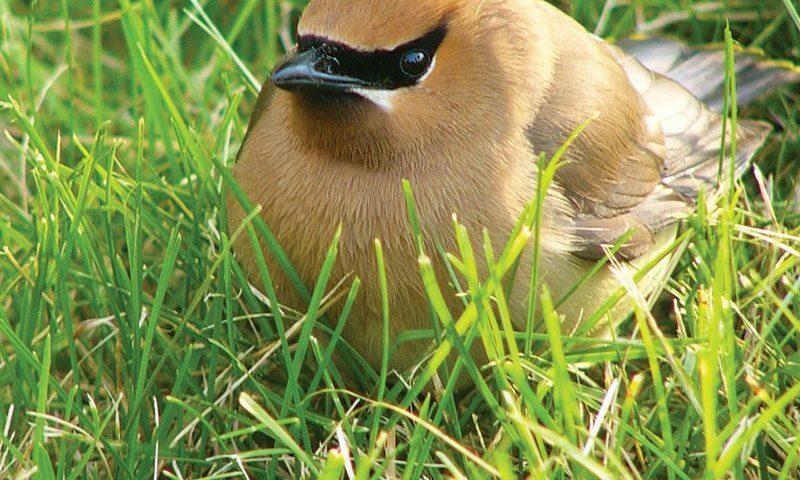 Having these plants in your yard increase your likelihood of having nests full of baby birds outside your window. Bathing and clean drinking water are prime considerations when designing your garden. A bird bath or a small pond provides an excellent location for feather cleaning. Birds will drink water throughout the year if a heater is used during cold weather. Some plants such as Cupplant capture rainwater in their cup shaped leaves which is later utilized by birds. Running or dripping water is particularly attractive to birds, especially warblers. Designing small waterfalls or fountains into your yard is bird friendly! Feeding birds is crucial for attracting them. Strategically place feeders, close to cover, yet with open access for landing are effective. While feeders provide food for many seed-eater, insect and fruit eating birds should not be ignored. Robins, catbirds and cedar waxwings relish small fruits such as crabapples, elderberries, dogwoods and serviceberries. Plants provide habitat for many insect species and these insects are in turn food sources for several unusual bird species such as: scarlet tanager, bluebirds and Baltimore orioles. Nuts and seeds of plants also a major component of some bird’s diets. Blue jays are fun to watch as they crack acorns, while pine siskins prefer the seeds of White Spruce and pines. and Catbirds can often be found perched within a Northern Bayberry. While Robins, Juncos and Doves are primarily seen feeding on the ground level of perennials and turf. Include all three levels when creating your birdscape.